Hanoi (VNS/VNA) - The Ministry of Industry and Trade (MoIT) plans to focus its investigations on businesses that use high volumes of energy as part of its mission to save energy. Trinh Quoc Vu, Deputy Director of the MoIT’s Department of Energy Saving and Sustainable Development, said the industrial sector accounted for more than 47 percent of the country’s total energy consumption. Statistics from the ministry showed the country now has 2,497 businesses with the highest level of energy consumption. He said the firms were put in the high-use category if they consume 1,000 tonnes of oil equivalent (TOE), or 6 million kWh, per year. The companies must have staff specialising in saving energy and have an energy audit every three years. They will report on their energy consumption and plans to save energy to authorities in their localities. 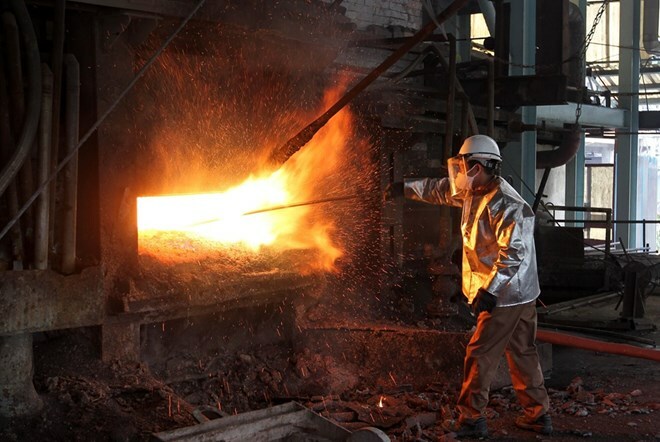 In order to clarify the responsibilities of industrial firms, the ministry released six circulars on the per-product energy quota in the steel, chemical, beer, beverage, plastic and seafood processing sectors. In addition, it has provided technical support in energy audits, conducted worker training and showcased energy saving technologies. These activities are under the national programme on energy saving for the 2019-30 period. The ministry established a 6 million USD fund with donors from Denmark in 2015 to guarantee for brick manufacturers to renew their equipment and improving effectiveness of energy consumption. There were 63 small- and medium-sized firms in the sector that accessed loans from the fund in its first two years of operation. The ministry is preparing for an energy saving project for Vietnam’s industrial sectors with support from the World Bank through Vietcombank and BIDV, with the goal of providing technical support to businesses. Le Vinh Son, Chairman of Son Ha Group, said the firm had focused on implementing energy saving solutions. It has conducted yearly energy audits to reduce the amount consumed by production activities. Electricity costs for the group’s factory in the northern province of Bac Ninh used to be 500 million VND (21,500 USD) per month. They have been reduced to 300 million VND per month. The group has 10 similar plants nationwide. The national programme includes a target to reduce energy loss in the steel and cement sectors to 16.5 percent. The first phase will be implemented from 2019-25 and the second from 2026-30. If the targets are met, the country’s total energy use will be reduced by between 5 and 7 percent in the first phase. The programme aims to mobilise all available resources both inside and outside the country to promote the effective use and saving of energy. It should also help to establish an energy-saving habit to boost green growth and sustainable development.